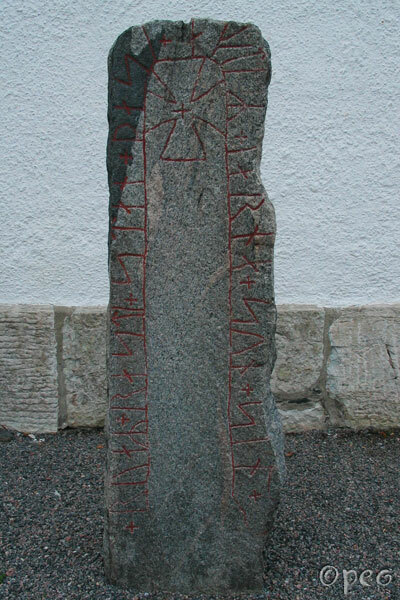 Sigsteinn raised this stone in memory of <i-ui>, his father. Hróarr raised this stone in memory of Jarni, his son. 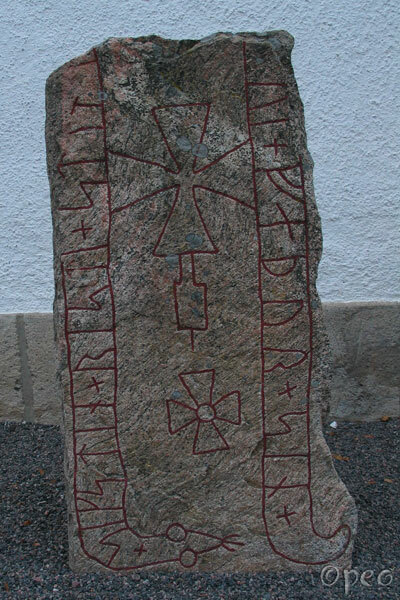 These rune stones are standing next to the entrance of the church.